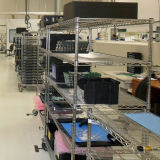 Experts in the manufacture and test of RF Power Amplifiers and Build 2 Print projects for a wide variety of applications. Founded in 2015 from a core team of highly skilled manufacturing and test personnel, we have extensive technical knowledge and capabilities enabling us to reliably deliver both complex and bespoke solutions . 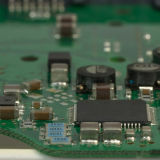 Utilising surface mount pick & place and vapour phase machinery. We are able to offer complete turnkey solutions from prototype development and design through to batch manufacture of established products. All products are 100% tested for alignment, burn-in screening and compliance.